The idea of a connected kegerator isn't anything new. We've seen quite a few startups build high-tech kegs -- even Google has gotten in on the action. Those projects, however, require quite a bit of technical know-how. Now there's an easier solution for the beer enthusiasts: Kegbot. Kegbot is a bit different simply because it handles most of the geeky stuff for you. 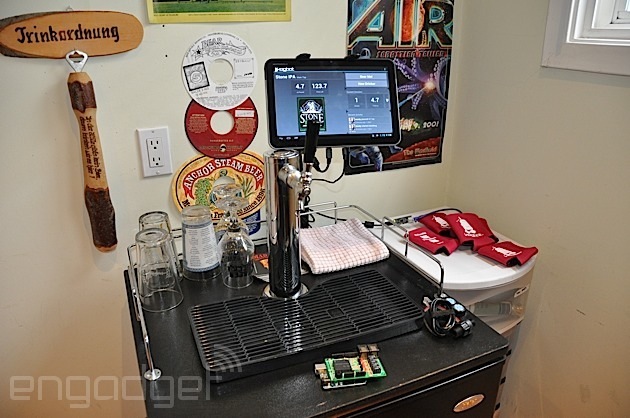 To get the device up and running, you just have to connect a flow sensor to your keg's line, and connect the pre-made board to your favorite Android tablet. With a minimal amount of effort, the device can track how much beer is left in your keg, who's drinking it and what days of the week you're consuming the most booze.